Notes: Florida has won 10 straight games against the Volunteers with the average margin of victory of 13.9 points per game. The average margin of victory by the Gators over the past 5 games has been by 11.2 points per game. Tennessee lost last year’s game by a score of 10-9. The Volunteers have averaged 46 points per game during the first three games and have relied heavily on the rushing attack to wear down teams. On the year, Tennessee is averaging 246 yards on the ground and have passed for 189 yards per game. Sophmore running back Jalen Hurd has been the Vols main workhorse rushing for 300 yards averaging 5.1 yards per carry with 3 touchdowns. In order to get the victory in the Swamp this weekend, Tennessee must be able to stretch the Gators defense through the air. The Vols have averaged 189 passing yards per game and will quarterback Joshua Dobbs (58.1% 474 yards 4 TD’s 1 INT) to make plays with the deep ball. Dobbs has had good success with short to intermediate routes, however, he must be able to make plays vertically this Saturday against a veteran Florida secondary. Tennessee’s offensive line must give Dobbs time Saturday in the Swamp and allow Dobbs to locate his receivers. Tennessee has allowed 6 sacks through the first three games. Wide receiver Josh Malone leads the team with 9 receptions for 92 yards and one touchdown. Defensively, the Vols must make up for key losses such as linebacker Kurt Maggit that was lost for the season with an injury. On the year, Tennessee is allowing 23.7 points per game and has been very good at creating turnovers with a +5 turnover margin. The Vols are allowing 158 rushing yards per game and 236 passing yards per game. The Gators physical offensive line against the Vols front seven will be the key for the Vols to win the game. They will need to stuff the run on Saturday afternoon to force Gator quarterback Will Grier to beat them deep. Tennessee has recorded 5 sacks on the year and will need to keep Grier in the pocket and not allow him to break contain. In last week’s victory on the road in Lexington, Grier extended plays with his legs that allowed Florida to keep drives alive. Jalen-Reeves Maybin leads the team with 3 sacks on the year. The Gators are averaging 35.3 points per game and have rushed for 170 yards per game. 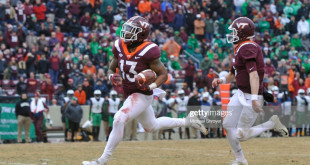 Last week the team was able to overcome a 120 yard rushing performance against the Kentucky Wildcats en route to the 14-9 victory on the road last week. Running back Kelvin Taylor leads the team with 154 rushing yards per game averaging 3.8 yards per carry with 3 touchdowns. Florida will need to run the football against the Volunteers on Saturday which will open up the play action passing attack led by quarterback Will Grier. The Gators have averaged 238 passing yards per game with Grier has completing 68.4% of his passes for 442 yards with 4 touchdowns along with 2 interceptions. The Gators have depth at the wide receiver position and will look to challenge the Tennessee secondary on Saturday afternoon. Demarcus Robinson leads the team with 14 receptions for 105 yards with 1 touchdown. Defensively, the Gators have looked very good in the first three games of the year. Last week on the road, the Gators shut down the Wildcats allowing 241 total yards of offense while forcing 2 interceptions from Wildcat quarterback Patrick Towles. The Gators are yielding 15.3 points per game and are very solid in run support giving up 55 rushing yards per game. The Gators have a solid group of defensive backs led by Vernon Hargreaves III, who has 2 interceptions on the season. Look for Florida to play man to man coverage early on- as the Gators front seven has been very dominant early on this year. Florida has 11 sacks through the first three games and will take chances early on to force Tennessee quarterback Josh Dobbs into beating them over the top. Look for Gators head coach Jim McElwain and the defensive staff to be very aggressive in this rivalry game to create pressure utilizing blitzes. Defensive lineman Johnathon Bullard and Joey Ivie both lead the team with 3 sacks each are key to shutting down the Vols offense. 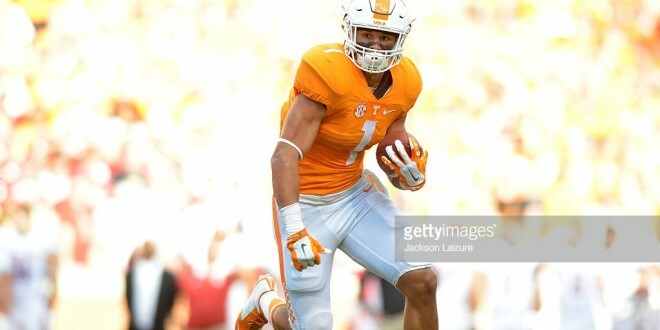 If Tennessee has success between the tackles with Hurd this will force Hargreaves and the Gators to come up in run support opening up the deep ball for Dobbs. Turnovers will be the key to the home victory as well and the Gators are +2 in turnover margin on the year.